LONDON -- Rolls-Royce's plant in Goodwood, southern England, risks being paralyzed in the event of a hard Brexit if just one component becomes unavailable because of border delays, CEO Torsten Mueller-Oetvoes said. Like other automakers, the BMW Group unit operates a just-in-time production system. Parts are usually held for no more than 24 hours, and even an expansion of warehouse space will provide only a few days of extra storage, Mueller-Oetvoes said in London. Rolls-Royce is also preparing for a no-deal split on March 29 by training suppliers in new import procedures, bringing forward an annual production halt to the first two weeks of April, investing in IT systems, and -- like rival Aston Martin -- arranging for some parts to be flown in if ports become snarled by customs delays. Still, the automaker’s "super-fragile" logistics chain remains vulnerable, Mueller-Oetvoes said. "You can plan for whatever you want but you can't store up weeks of parts, and if the logistics chain breaks it will affect production," he said in a briefing at Rolls-Royce's Mayfair showroom. "You only need to miss one component and you can't finish the car." Prime Minister Theresa May's proposed exit agreement with the European Union is widely expected to be rejected by lawmakers when it's put to a vote in parliament next week, keeping the possibility of a hard Brexit on the agenda. Rolls-Royce sources 32,000 parts used in its vehicles from more than 600 global suppliers, with only 8 percent produced in the UK. That requires 35 daily cross-Channel truck journeys. The level of customization on offer means each car takes about 800 hours to build, adding to the scope for disruption. Other automakers like Jaguar Land Rover have warned that tens of thousands of British jobs are at risk in the event of a no-deal Brexit. 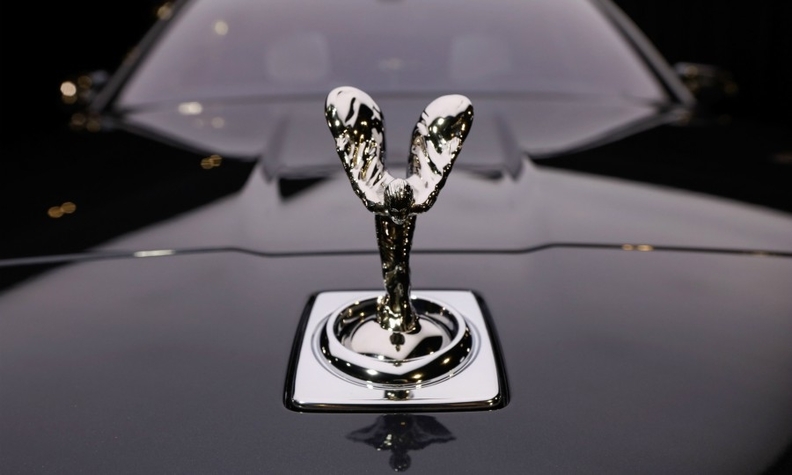 Whatever the circumstances, Rolls-Royce rules out moving production away from its Goodwood plant near England's south coast, with the marque's British credentials central to its appeal to the ultra-rich, Mueller-Oetvoes said. "This is a no go," he said, adding that Rolls-Royce is committed to Britain and that a third of its customers travel to Goodwood, "sitting with engineers and designers to specify their dream and see how we craft and hand-build things." The company has seen no evidence that Brexit will dent a UK market that accounts for about 10 percent of deliveries, Mueller-Oetvoes said, though the mood could shift with an acrimonious split. Global sales last year totaled 4,107 autos, a gain of about 20 percent versus 2017 after the revamped $444,000 Phantom VIII hit showrooms. The U.S. is still Rolls-Royce's biggest market, accounting for about a third of purchases after demand increased 22 percent in 2018. Orders for the Cullinan SUV, which began deliveries before Christmas, stretch into the third quarter, the CEO said. China remained buoyant, with 43 percent sales growth in the 12 months slightly exceeding the previous year's figure, the automaker said. That bucked a trend that saw overall demand in the world's biggest auto market drop 6 percent last year as an unresolved trade war and slump in stocks put off buyers. Rolls-Royce says its less exposed in China because it's not a volume producer. The chauffeur-driven market there remains strong, supporting demand for limousine models, and the self-driving sector is expanding fast, spurring sales of the Wraith and Dawn coupe and convertible, according to Mueller-Oetvoes.